1960 On the 28th of March, Eric Chipulina junior was born. His father had always been renowned within family circles, and perhaps even beyond, for his patience and generally laid back attitude to life. Eric junior would soon demonstrate that he had inherited a double helping of whatever genes were responsible for these characteristics. In October, a British motor launch called the Alamoana, registered in Gibraltar and owned by a Mrs. Mellul of Tangier, was ambushed and shot at by a Spanish patrol launch. The captain was injured and a passenger, a Mr. Tallez, was shot dead. The Vox daily ran the headline 'The Bay Murder,' and the public were incensed but no official protest was made. Mercedes Gomez, wife of Joe Letts died around this time. She had survived to a ripe old age of ninety plus and had proved an unmitigated nuisance to the family. She was supposed to have been stone deaf, but she probably heard much better than she was supposed to. She was even smaller than her sister Maria Luisa, but double the trouble, and in her old age had acquired an irritating croaking voice, which she used mainly to complain of some ailment or other, usually imagined. Maria Luisa, in her old age at least, had a similar obsession with imagined ailments. When the two hypochondriacs got together, one simply had to leave the room in disgust. 1961 In those days there were several nightclubs in Gibraltar which were often frequented by tourists. One of them was called El Panama. It was considered a rather disreputable place and their shows usually consisted of sundry troupes of imported Spanish flamenco dancers of varying degrees of incompetence. Nevertheless I always made a point of trying to get to know the guitarists who accompanied them. I always thought, erroneously as it turned out, that I might be able to pick up a few tips on how to play the flamenco guitar. Now and again Los Romanceros offered their services free to the management and put on a show for the customers. The reason for our generosity was two-fold. In the first place the type of music we played lent itself to this type of atmosphere. At any rate the customers always seemed very appreciative. The second was even more important. If somebody in the group happened to be in the process of trying to impress some tourist or other, being part of the floor show was always a huge bonus. It was on one of those nights in which we formed part of the show that Barbara Hutton, the well known Woolworth millionairess, came visiting. The group was invited to her table and Lewis was immediately the centre of attention. For once, however, I think he must have decided to back off. Despite the endless face lifts she could not disguise her age. There was yet another nightclub nearer home. In fact it was not more than a few yards from Alameda House. It was called La Venta and was more upmarket than El Panama. I always made a point of popping in every night on my way home. It was here that I first met Terry. 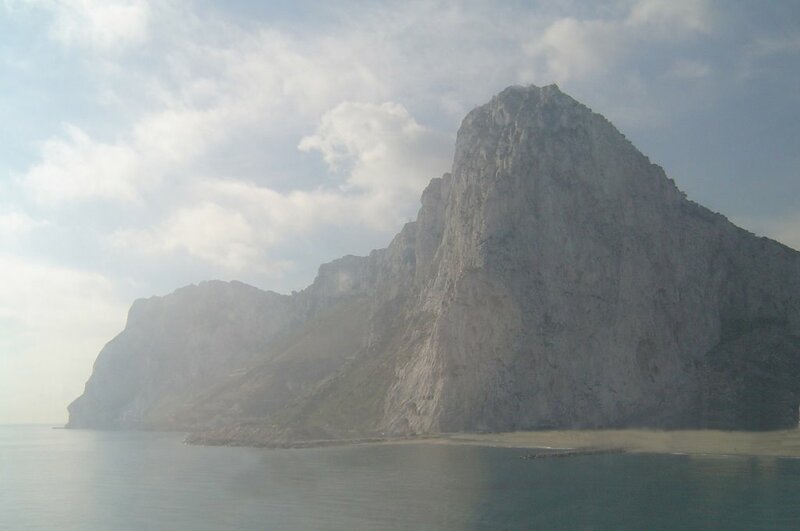 She was an Irish girl who had arrived in Gibraltar as a tourist, had grown to like the place and had decided to prolong her stay for as long as she could afford it. She eventually became my first real girl friend and that summer we went on holiday together to Madrid. It was the first time in my life that I had been away with a girl for any length of time. I enjoyed every minute. When we returned I found out that a recording company called Parlophone had offered to make and release a 45 r.p.m record of the group. Through friends we obtained permission to use the recording facilities of Radio Gibraltar and after innumerable trials managed to get acceptable versions on tape of two of our songs, La Barca and Hechame a Mi la Culpa. When the record finally appeared in the shops we noticed that the names of all the individual members of the group had been printed on it. Mine appeared as Neville Chipibua. I suspect that other than us and our respective families nobody else ever bought a copy. At any rate we never received any royalties. Another good place for picking up girls with planes in mind - an activity which obviously occupied most of our time in those days - was a pub run by a couple of ex-school friends of ours. It was often frequented by celebrities who happened to be visiting the Rock. 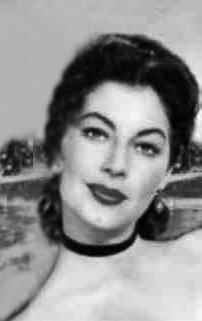 I remember rumours that Ava Gardner, at that time one of Hollywood’s best known stars, once came slumming. 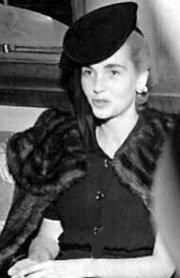 It was said that she was trying to get over the death of Tyrone Power, another contemporary giant of the silver screen. He had just died in Madrid while filming there with her. She was now involved in some torrid romance with either Ordonez or Dominguin, two of the best known fighters of the era. It was on one of our visits to this pub that we met a naval officer from a British submarine which happened to be in port at the time and who also happened to be an excellent jazz guitarist. He had heard about Los Romanceros and after a few drinks he invited us back on board his ship. There we all got thoroughly drunk on sweet Vermouth, and swore eternal musical friendship. Quite apart from the fact that he was an excellent musician, technically a million miles ahead of any of us, he also happened to be a very generous and pleasant individual. By the end of the summer Terry had run out of money. She thought it would be best if she returned to London. The day she told me I immediately made up my mind that it was time to untie my mother's proverbial apron strings. But there was more to it than Terry. I really wanted to go to England. In those days going there was the ultimate thrill for young people my age. All my friends had been to London either on holiday, visiting family friends or as students. 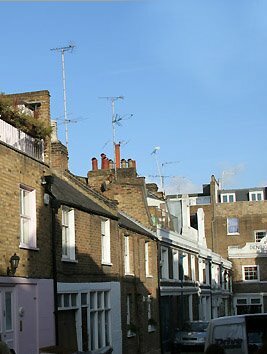 I had spent many an hour sitting at some bar or other listening glumly to long discussions on the relative merits of various pubs in Hampstead, or about the carefree freedom of all-night parties at somebody's flat. Arguments on topics such as the best way to get to Trafalgar Square by tube from Richmond, or even about how lousy the weather was could sometimes get quite heated. They were all agreed on one thing; it was very easy to get a job there. After all, as they kept reminding me, we all knew an extra language. And they paid well. £20 a week was the minimum I could expect. It was a lot more than people like I could possibly hope to earn in Gibraltar. When my mother heard the news of my imminent departure, she was understandably distressed. She felt I was making a big mistake. But I had made up my mind. As I had little or no money saved up I offered to sell my stamp collection to Stanley Gibbons. For many years I had assiduously valued it at regular intervals using their own catalogues. I made it that it was worth about £500 pounds. They offered me the grand sum of £7 which I accepted by return of post. To get there, I had arranged a lift by car all the way to London with a friend. He had also decided to leave town for good. The night before I left my brother gave me a fiver to tide me over and the next day I kissed my mother goodbye. I am sure there were tears in my eyes: I know there were in hers. But I was on my way. During the next forty odd years I would return only three times and even then only for a few days. The history of my family and Gibraltar would, of course, continue to the present day, but my own personal history in Gibraltar was over. All those things that I had thought would last for ever, have mostly gone and are all but forgotten. Perhaps that is how it should be. A romantic view of the Rock I left behind.